An “engaging and enlightening” (The Wall Street Journal) argument that innovation and progress are often achieved by revisiting and retooling ideas from the past rather than starting from scratch—from Guardian columnist and contributor to The Atlantic, Stephen Poole. Innovation is not always as innovative as it may seem. 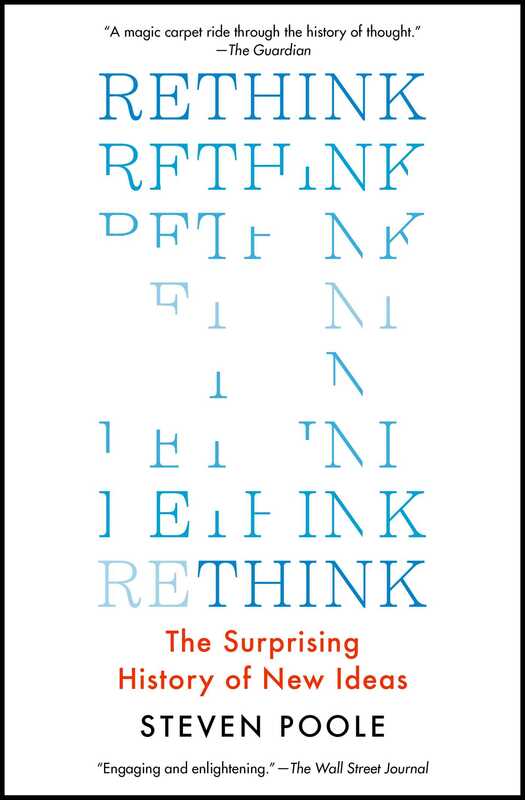 Rethink is the story of how old ideas that were mocked or ignored for centuries are now storming back to the cutting edge of science and technology, informing the way we lead our lives. This is the story of Lamarck and the modern-day epigeneticist whose research vindicated his mocked two hundred-year-old theory of evolution; of the return of cavalry use in the war in Afghanistan; of Tesla’s bringing back the electric car; and of the cognitive scientists who made breakthroughs by turning to ancient Greek philosophy. “An anecdote-rich tour through the centuries” (The New York Times), with examples from business to philosophy to science, Rethink shows what we can learn by revisiting old, discarded ideas and considering them from a novel perspective. From within all these rich anecdotes of overlooked ideas come good ones, helping us find new ways to think about ideas in our own time—including out-of-the-box proposals in the boardroom to grand projects for social and political change. “Clever and entertaining...a thoughtful and thought-provoking book” (The Sunday Times, London), Rethink helps you see the world differently. Armed with this picture of the surprising evolution of ideas and their triumphant second lives, and in the bestselling tradition of Malcolm Gladwell, Poole’s new approach to a familiar topic is fun, convincing, and brilliant—and offers a clear takeaway: if you want to affect the future, start by taking a look at the past. Steven Poole is the award-winning author of Rethink, Unspeak, Trigger Happy, You Aren’t What You Eat, and Who Touched Base In My Thought Shower?. 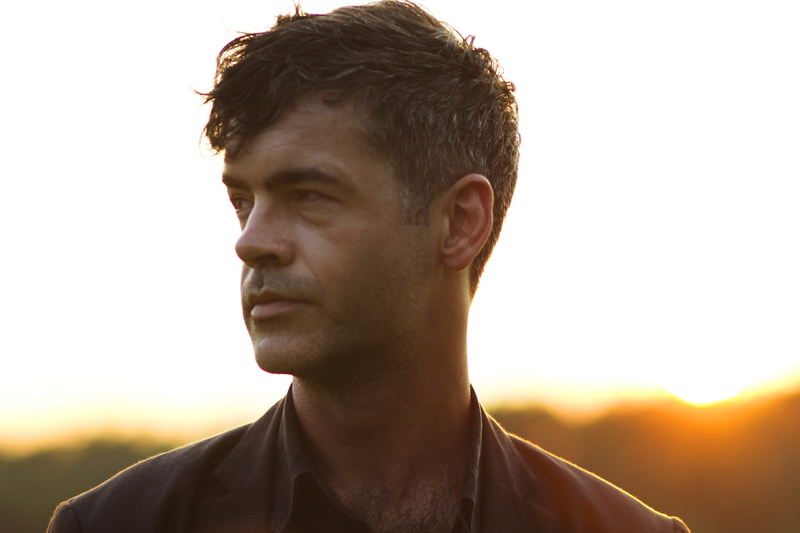 He writes a column on language for The Guardian, and his work on ideas and culture also appears in The Wall Street Journal, The New Statesman, The Atlantic, The Baffler, The Point, The Times Literary Supplement, Edge, and many other publications. He was educated at Cambridge, lived for many years in Paris, and is now based in East London. "A magic carpet ride through the history of thought, viewed from such a height that unexpected patterns and correspondences emerge...It is testament to the author’s narrative skill that this whirlwind of discovery doesn’t end up in a pile of papers scattered across the floor... His powers of orchestration succeed. Among the greatest compliments you can give a book is that it helps you to see things differently. So long as you’re not dazzled by the fireworks, Rethink could do just that." "Clever and entertaining... Startling... Fascinating... When it comes to describing a complex idea clearly, Poole is one of the best writers around... A thoughtful and thought-provoking book." "Entertaining and important... Elegantly written and full of surprises." "Full of fascinating stories about ideas that were thought to be rubbish at the time but whose hour came later... A treasure trove... The pleasure, and it is considerable, is in the examples... Where the arts merely accumulate, science progresses. Yet it does so by swirling back on itself. That is in itself an insight that is well served by a clever and entertaining book which, if it does nothing else, will make me more fun at parties." "An always entertaining and often eye-opening taxonomy of old ideas that refuse to die... I see Rethink as a kind of post-modern, post-ironic smart-thinking book, undercutting the genre's pretensions by borrowing its old clothes, drawing our attention to how its so-called new ones belong to the emperor. This rises far above satire or parody because what Poole actually says is largely both true and interesting. I don't think anyone has subverted the smart-thinking genre like this before. That's inspired rethinking." "Fascinating... Exciting... Poole invites us to be a bit bolder than we often are, to challenge accepted truths, to revisit old ideas and even to play with some crazy new ones... Rethink makes you, well, rethink... With this book, Poole confirms his standing as one of our liveliest and most thought-provoking writers on science and technology... A stimulating journey that challenges our fixation with ‘winners’, but also with novelty for novelty’s sake... Rethink invites us to be skeptical and to look back, but perhaps just as important, I think, it also encourages us to be more creative when looking ahead." "Entertaining... Remarkably accessible and well-organized. Such a cross-section of material guarantees there is something here for everyone." "The stories behind these ideas with their twists and turns through the years make fascinating reading. Poole has written an entertaining and informative book that provides a new appreciation for the past."